Popular and much-loved book series The Worst Witch is brought to life in a new stage show this summer by Emma Reeves and Theresa Heskins. Jill Murphy’s book series burst onto bookshelves in 1974 and is still being written today. The stories have spawned several adaptations including a television film starring Tim Curry and Fairuza Balk, and a TV series in 1998, starring a young Felicity Jones. The Worst Witch premiered in Northampton in 2018, and has been touring the UK throughout 2019. Award-winning writer Emma Reeves adapts Murphy’s books. Reeves most recently won an award for her stage adaptation of Hetty Feather, and has written TV episodes for Tracy Beaker and Young Dracula. New Vic Theatre’s artistic director Theresa Heskins directs. The Worst Witch is the perfect show for all ages this summer as it is full of music, magic, and mayhem. 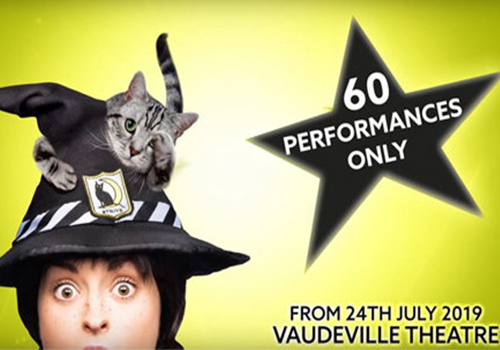 The show runs at the Vaudeville Theatre from July 24th – September 8th. The age recommendation for this show is 7+. Children under the age of 12 months will not be permitted into the theatre.